New York, 21 September 2016 — Today governments took an important political step by approving a UN Political Declaration that aims to recognize the many global challenges caused by antimicrobial resistance. This declaration marks only the fourth time a public health issue has reached this high level of attention at the UN. In addition to recognising that all countries must do much more to better use existing antibiotics by strengthening health systems, human resources for health and laboratory capacity, this declaration also highlights the need to improve access to existing medical tools, including by reducing the price of existing vaccines to prevent infections, as well as the need for research and development of new products that are patient-focused, affordable and appropriately available to all who need them. MSF is participating in global efforts to control drug-resistant infections by increasing our capacity to diagnose infections, improve the use of antibiotics, prevent the transmission of infections in hospitals and monitor rates of resistance, as well as supporting efforts to develop new, affordable diagnostic tools and treatments. This High Level Meeting on AMR calls for similar reforms to those outlined in the landmark report of the UN Secretary General High Level Panel on Access to Medicines, which was released last week, including demanding more transparency from pharmaceutical corporations on research and development costs and prices, and breaking the link between the way research and development is funded and how much companies charge for lifesaving medical tools. "MSF welcomes the UN’s Political Declaration Antimicrobial Resistance, which recognizes the need to address – at the highest political levels – the complex issue of drug-resistant infections, which affects people in every part of the world. Now, governments have the responsibility to turn these words into action and to fully implement nationally-tailored plans and global commitments to combat AMR. 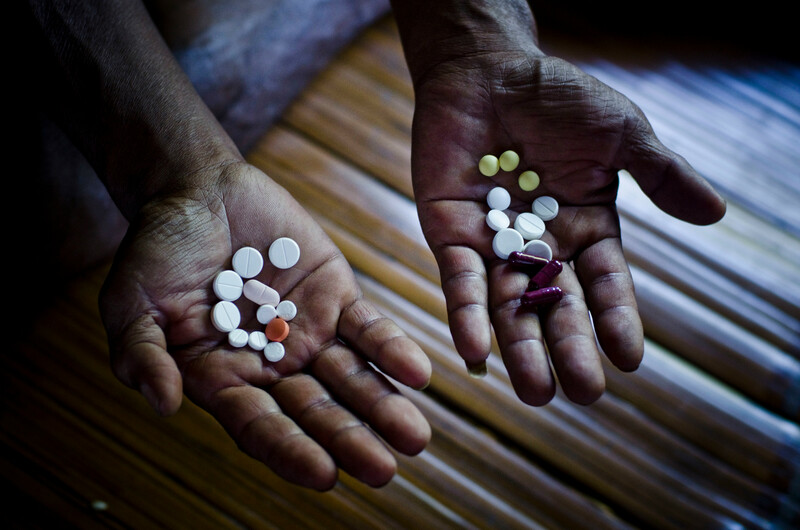 From the war-wounded in Jordan, to newborns in Pakistan and burn patients in Haiti, to people with multidrug-resistant tuberculosis in South Africa, MSF sees drug-resistant infections everywhere, including infections that can only be treated with the very last lines of antibiotics. We must all continue to work towards ensuring that medicines are used appropriately, that diagnostic capacity and accuracy is improved, and that access to existing and new antibiotics is safeguarded, but governments and pharmaceutical companies can take significant steps right now to prevent infections in the first place; for example, making the pneumonia vaccine affordable so that more children can be vaccinated against pneumonia, and upgrading national treatment policies to increase access to drugs and diagnostics that cure and prevent drug-resistant tuberculosis.